Dulux Trade has partnered with painting contractor Lucas to provide a colour-matching app for decorators and specifiers. 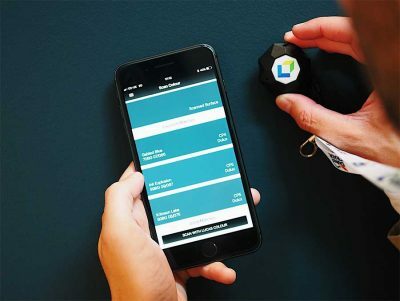 The service, which is initially being trialled in London, allows users to scan walls with the device and instantly order matching paint from a Dulux Decorator Centre, which will then be delivered within four hours . Complementary palette options will help users create and refine colour options in the early stages of projects. Within the app is a section called ‘work request’ where users can take multiple scans, add job notes, take pictures of the space, add time frames and submit to the contractor.